Amy is responsible for overseeing the daily operations of the Community Development Department for the City of Auburndale which includes Construction Services, Planning, and Economic Development. Amy previously held this position from 2002-2006 during the housing bubble and economic boom. Times are very changed for Community Development and she has the added responsibility of implementing an economic development strategy for the City. Between her two stints for the City of Auburndale, Amy was Senior Business Development Manager for Polk County’s Central Florida Development Council (CFDC), where she gained economic development experience and was responsible for the Business Retention and Expansion Program. Amy obtained her undergraduate degree with a double major in Political Science and Sociology and a minor in English from Catawba College in Salisbury, NC. Amy has a Master of Science Degree in Urban and Regional Planning from Florida State University. She has been a member of the American Institute of Certified Planners since 2005. She is also Chair for the Heart of Florida Section of the Florida Chapter of the American Planning Association. Amy and her husband Andy live in Winter Haven where she enjoys entertaining family and friends, cooking, and trying to keep up with her active toddler.  As building official, Mickey is responsible for the enforcement of Codes and Statutes pertaining to the Florida Building Code as well as the Land Development Regulations for the City of Auburndale and FEMA requirements with regards to construction. Mickey is also responsible for the issuance of Business Tax Receipts and works closely with the City’s Code Compliance Division. Mickey came to Auburndale as Building Official in 2004 after beginning his Building Code enforcement career with Polk County. There he served as inspector, inspection supervisor and Building Official. Mickey is active in the Peace River Chapter of BOAF where he served as Chapter President. He is also a member of the Winter Haven Pilots Association, serves on the City of Winter Haven Affordable Housing Advisory Committee and is active with Habitat for Humanity of East Polk County. In his free time, Mickey enjoys flying and spending time with his family both here and at their mountain home in Georgia.